Activated Checklists within Way We Do are an excellent tool for running processes and tracking activity within your business or organization as part of a continuous improvement practice. We have recently improved the user experience of Activated Checklists with the addition of “Headings”. You now have the ability to group a number of “Steps” with the use of “Headings”. 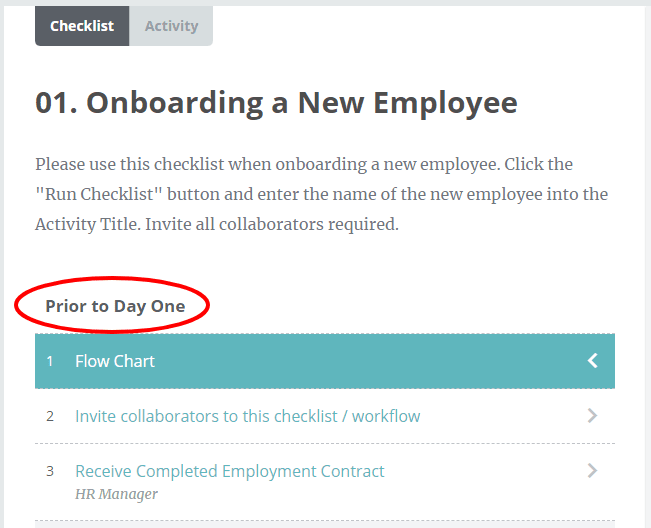 Learn how to add Headings to your checklists and workflows, and log in to create your own. The team at Way We Do is always available to answer questions and listen to your feedback. If you have a question, comment or suggestion, let us know at support@waywedo.com. Activated Checklists Are Now Live! Activated Checklists are easy to create, and even easier to use.